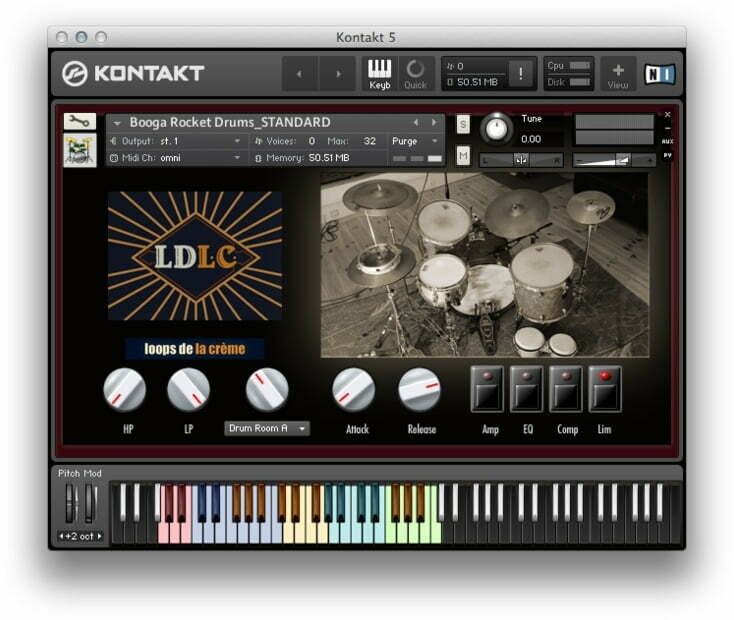 Loops de la Crème has launched Booga Rocket Drums, a funky and versatile mono drum kit instrument library for Native Instruments Kontakt. To create this unique instrument, we sampled a custom drum set made of two jazzy toms, a big retro kick and an expressive piccolo snare. A selection of cymbals, percussions (bongos, cowbell, claves, shakers, tambourines, claps and sticks) and bonus original sounds and playing technics (sticks on the side of toms, stacked fx cymbals, tambourine on hi-hat…) provide lots of extra colors and rhythmic possibilities! Each drum, cymbal and percussion was expertly multi-sampled using a great minimalistic combination of two microphones to capture the whole kit: A mono overhead ribbon (Voodoo VR1) provides punch and smoothness, and a vintage AKG C451 in a ‘knee’ position gives plenty of crisps details. The resulting sound is direct, punchy and crisp, with minimum room ambience. 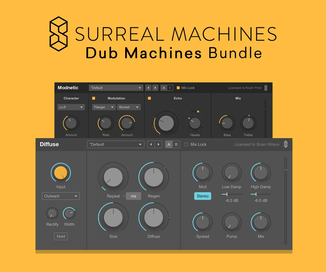 An intuitive user interface lets you fully customise the sound by using filters, pre-programmed effects (compression, EQ…) and a fantastic selection of 26 custom reverbs. 931 samples (mono WAV, 48kHz, 24 bit). Up to 22 dynamic layers for great playability. 3 round-robins for added realism. 10 nki sound presets (60s Grit, 80s Gated, Jungle, FX…). 58 MIDI grooves and fills for instant results. The library is available for the introductory price of 14.50 EUR until May 15th, 2015 (50% off regular).